When John Lukic returned to Leeds United in summer 1990, everything had changed at the club he’d left in 1983. Importantly, John Lukic had changed too. He’d gone to Arsenal and seen the world; or at least, due to the post-Heysel European ban, he’d seen London — Highbury and Wembley. Lukic, when he first broke into the first team at Leeds in 1979, and played 146 consecutive games, was intense, and mature beyond his years, but he was young. He replaced David Harvey, and United were relegated from Division One, raw talent not enough to stop his future employers putting five past him and a vulnerable defence. Leeds recovered him at his peak. Howard Wilkinson wanted his promoted side to go straight to the top of the First Division, and that’s where Lukic had been for years, until George Graham had tried to swap him for QPR’s ex-Leeds ‘keeper David Seaman. Graham got his new goalie, for £1.3m, so Leeds got Lukic, for £1m, making him the third million pound goalkeeper in Britain, Nigel Martyn the first a few months earlier. Leeds fans remembered a skinny, acrobatic, strangely quiet youth whose mum cut his hair; now they had a strong, athletic, fiercely concentrated adult, whose mum cut his hair. If there were questions about Leeds United’s defence in the First Division, Lukic had all the answers. When it came time to replace him, Nigel Martyn was overdue. If press speculation was to be believed, Wilkinson had wanted Martyn as soon as the impact of the backpass rule changes began to ruin the league champions. Not only had Martyn been the first of the million pound goalies, he was the youngest: he made his debut for Bristol Rovers in 1987, nine years after Lukic made his. In his mid-twenties at Palace, he was talented but crucially adaptable. Lukic had spent fifteen years playing top flight football before the rules changed, and it was difficult for such an old dog to learn new tricks. Martyn was a new dog, so he had all the advantages — and was impossible to buy. 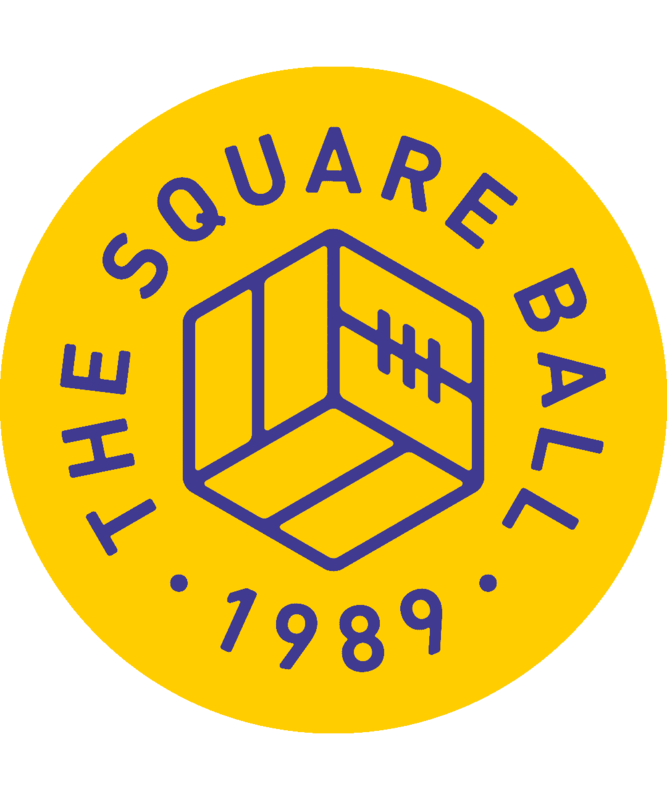 Until 1996. They say good things come to those who wait, and when Wilkinson finally bought Nigel Martyn — breaking the transfer fee for a goalkeeper again — Martyn was a very good thing indeed. He was thirty, as Lukic had been in 1990, and he was ready, as Lukic had been in 1990. Wilkinson was soon gone, and that only made Martyn’s readiness more important to Leeds United. Wilko’s successor as manager, George Graham, always gets the ‘credit’ for the dour, dire season that kept Leeds United in the Premiership, but it wasn’t Stroller George out there keeping twenty clean sheets. Could Martyn have achieved that as a younger player? Who knows. But Paul Robinson couldn’t keep Leeds in the Premiership after Martyn left, and it was subsequently clear that Robinson, then aged 24, had not been ready to withstand the disasters that were surrounding Leeds United. At Everton, Nigel Martyn, aged 38, was as strong as he had been since he came of age. If Martyn hadn’t been a goalkeeper then he wouldn’t have been missed as a 38 year old, but something about the position requires a level of maturity and confidence that players only seem to attain once they’ve grown up. Look at Gianluigi Buffon, the Nigel Martyn of Juventus; or at the difference at Leeds United when Robert Green replaced Marco Silvestri. A goalkeeper who had seen it all and done it all kept the play-off dream of Garry Monk’s creaking team alive much longer than Silvestri might have, a goalkeeper who tended not to see anything until after Giuseppe Bellusci had cocked it up. Silvestri might be a very good goalkeeper one day. Right now he’s on the bench at Hellas Verona, perhaps taking some necessary time to recover from and reflect on his time at Leeds United, while 29 year old Nicolas — the keeper who helped Verona to promotion last season — takes everything Napoli (three goals), Fiorentina (five goals), Roma (three goals) and Lazio (three goals) can throw at him. Aged 26, it might be the best place for Silvestri, who was 23 when he signed for Leeds United for a million euros, looking as if he’d just arrived from a romantic ballad about elegant, soft-wristed youth. He was the “Finest goalkeeper in Serie A,” according to Massimo Cellino, but once the early acrobatics wore off, Silvestri’s inexperience made him one of the easiest to suss in the Championship. And so to Felix Wiedwald. Wiedwald is 27, the same age as David Seaman when he signed for Arsenal to replace Lukic. He’s on the edge of the age when a goalkeeper’s potential hardens, through experience, into engineered glass. You can see through it, but you need a lumphammer to break it. Compared to Seaman, though, who had played more than 300 games before his big move, Wiedwald is barely out of the sandpit. And, at times, too many times, he looks like he’s still stuck in one. Presumably Victor Orta’s 200-page report told him all this before he signed Wiedwald, so it shouldn’t be a shock to anyone at Leeds United that his place in the goal against Reading is less than assured. The surprise to Orta might be that Robert Green is no longer available to step in, after he traded himself for some more comfortable benches in the Premier League. The concern is that, barring a young Lukic-like rise for Bailey Peacock-Farrell, his replacement will be Andy Lonergan. Lonergan’s previous connection with Leeds in 2011/12 is a disadvantage in two ways. First, people keep getting him confused with Paul Rachubka. Second, people who do remember him, remember him being given the captaincy by Simon Grayson after Jonny Howson was sold, and remember his relief when Neil Warnock took it away again three weeks later, shortly before he conceded seven goals at home to Nottingham Forest. To be fair to Lonergan, he was far from the only player culpable that night, and until he broke his finger he’d looked very good in goal for Leeds. But his chalk mark was made in the ‘not up to it’ column of players who hadn’t coped well with the pressure of playing for Leeds United, and his career since has been that of an elder Wiedwald: sharing number one duties at Bolton and Fulham, depending on other keepers’ injuries for runs in the side, and a spell as a decided reserve at Wolves. Lonergan might provide some short-term security in place of the jittery Wiedwald; he looked confident and capable in the League Cup at Burnley, and excelled in the penalty shootout. But then, all that is true of Mateusz Klich. To be fair to both Wiedwald and Lonergan, this is a question of club policy as much, if not more than, player personality. Victor Orta has a budget, and to make that budget work, he has had to take chances. I wrote here a few weeks ago about the character flaws that kept Samuel Saiz out of top-flight football in his career so far. Ezgjan Alioski made his reputation in Switzerland, Caleb Ekuban in Albania. The scouting reports have been filtered to bring players up from under the radar, players with qualities that they’ve yet to show consistently enough to demand bigger transfer fees, but who could be special if they can be developed. That’s the squad Thomas Christiansen has been given to work with: full of potential, yes, but also full of inconsistency, questions, underdevelopment, inexperience. Players like Saiz and Wiedwald are being given a chance to prove themselves, but they’re also being given a chance to fail. Perhaps as a prelude to eventual success, perhaps as a prelude to more failure. It might be why Eunan O’Kane has been patched up, injected, and told he’s got plenty of other ribs, rather than moved aside so Ronaldo Vieira can play. Of the squad at Hillsborough, only Andy Lonergan, Pablo Hernandez, Stuart Dallas and Luke Ayling have played more than 100 games at Championship level or above, and only Ayling started on the pitch; Eunan O’Kane has played just under 100. Matthew Pennington has played ten. Samuel Saiz is coasting through the Championship as if born to it; or born to a higher level. But Wiedwald and Pennington need help, help they can’t give to each other. There’s a bigger question than just whether Wiedwald should be in goal or not. With Liam Cooper in front of him — in commanding form until, well, you know — Wiedwald hasn’t looked like the despairing wreck he became by half-time at Hillsborough. Perhaps, with Lonergan behind him, Pennington might have attacked the ball with more sureness and confidence. Maybe Wiedwald and Pennington together is too much too soon for a team finding its feet to sustain. It’s worth remembering, sometimes, that although Pontus Jansson joined from Torino, injuries meant he only played sixteen times in Serie A, his only games outside Sweden prior to joining Leeds. Jansson is one of our leaders, expected to nurture Pennington and Conor Shaughnessy, but he’s played fewer games in the Championship than Kalvin Phillips. The blend of experience and inexperience is important, but it’s dialled too far towards inexperience recently, and the senior players have struggled with the responsibility. Hernandez, the oldest head in the side, seems to have gained more from Saiz than Alioski has gained from him. O’Kane’s ribs explain some of what went on at Hillsborough; we can only assume that in Cardiff something had cracked just as badly in Liam Cooper’s brain. Cooper had stepped up to the captaincy before that, while Ayling is maintaining his high standards despite having fairly torrid times defensively against Cardiff and Wednesday. We can’t afford for any of them to be off their games, and neither can the inexperienced players around them. In that context, Lonergan could help. He’s not perfect, but he’s got the memories of more than 300 Championship games to call on — some good, some bad, all important. At 33 his physical strength shouldn’t be an issue. And while Wiedwald suffered at Werder with the cycle of breaking up and getting back together with the first team, that’s pretty much been Lonergan’s life since leaving Leeds, so he’s used to it. He might even do a better job if given the armband this time around. But whatever happens, it shouldn’t mean the end of Felix Wiedwald. Leeds United have taken a chance on him, and he should be given more than one chance, even if it takes him more than one season to get the hang of being here, and even if we have to cover our eyes in the meantime. 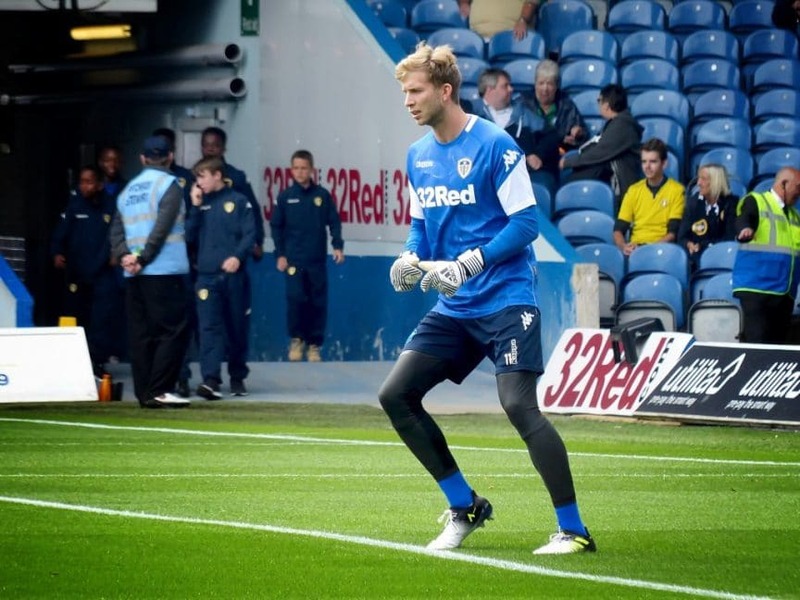 Expectations about Wiedwald were raised by his status in the Bundesliga, and his early clean sheets, but Leeds only spent around £450,000 to sign him. They spent £350,000 on Mark Beeney in 1993, and even ordinary inflation, never mind the hyper football version, would make him a bigger buy than Wiedwald today. You get what you pay for, then you try to get more out of it.